Our Ogio Party-sized cooler rolls with ease on sturdy wheels and an adjustable-height handle plus can carry with top strap handles too. Lots of outside pockets for storing keys, cell, book to utencils. 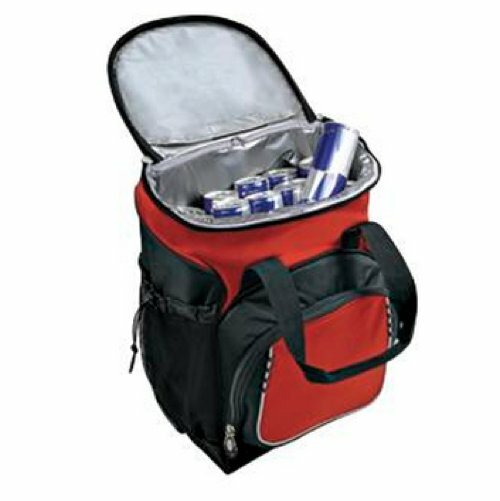 Very durable with its PEVA cooler liner and 420 D diamond dobby nylon. 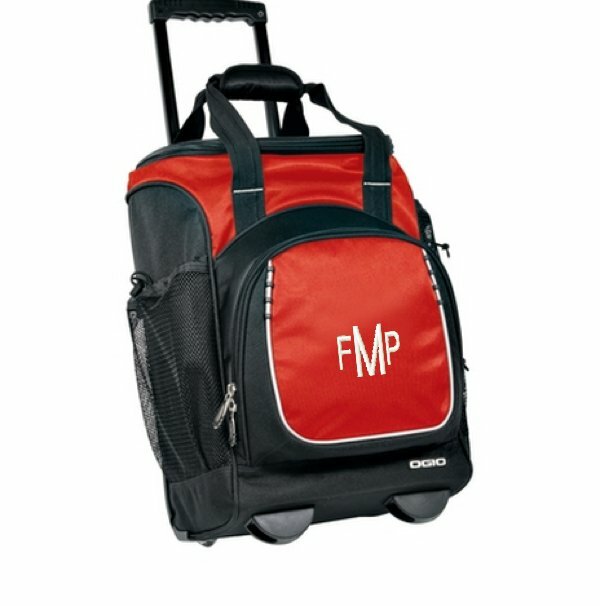 Red and black is a great color combo and add your choice of either a monogram or up to 10 characters for a name. Monogram is approx 3 inches in diameter and all personalization is on the outside zippered pocket. Price: $125.00 In stock! - Browse this brand: The Pink MonogramOur products are custom made to your specifications. This product ships up to 2 weeks after your order is placed.